The best public relations partnerships are client-agency collaborations that involve a serious time commitment on both sides. 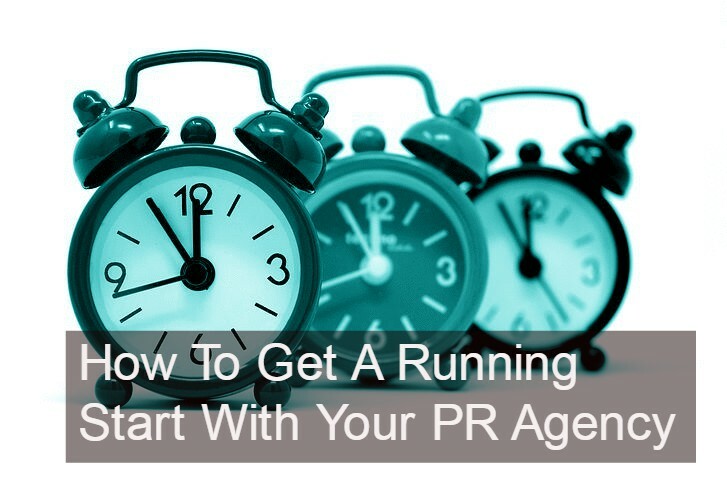 Most clients know this and they have great intentions when they embark upon a relationship with a PR firm. But what if the client has limited time to invest with the agency team? Or if it lacks experienced staff to manage the agency effort? There are ways to achieve a full collaboration even when time and experience are lacking. No, it’s not enough, but it’s a start. Beyond daily emails or calls, an inviolable call or meeting will help move things forward by disciplining both partners to save non-urgent matters for that occasion. Outside the weekly meetings, a shared activity dashboard, regular email and instant-messaging tools like Slack will save back-and-forth. Companies should want an agency that strives to keep all parties in the loop without lengthy in-person meetings (although a monthly face-to-face is recommended.) And if a client can’t act quickly on an agency request or recommendation, then they should empower the agency team to find a workaround. If time is short – or even if it isn’t – start with a document dump. Share marketing plans, messaging documents, and competitive or consumer research, of course, but there are other materials that will add value, like the CEO’s recent speeches, paid analyst reports, and records from prior PR or marketing partnerships. It may be tempting to barrage team members with thoughts before they’re lost, or to document every deadline, but a dashboard will capture details more efficiently, as too much outgoing email will invite too much incoming email. Sometimes a 10-minute phone conversation is the best timesaver of all. You can also save time by inviting your PR team to appropriate meetings, brainstorming sessions and events, and soliciting their input. The more integral an agency team is, the better equipped they are to promote your business. If possible, plan opportunities for a PR team member to join after-work drinks or a working lunch meeting. These occasions are often fertile ground for interesting stories. Clients are typically eager to share good news. But to be a really well-oiled PR machine, both teams need to know negative as well as positive developments. It’s self-defeating when a client fails to keep its PR team in the loop on a sensitive situation, only to have a journalist “surprise” them. Even if a development on the horizon is unclear or uncertain, it’s best to give the agency team a heads-up to avoid a last-minute scramble if things break later. Plus, they will feel included, which is motivating. Once an agency partnership is up and running, it’s time to set milestones for evaluation. Ask yourself if the agency is meeting deadlines and delivering on promises. Usually, the timely check-ins and shared dashboards will keep team members honest. But clients should nip problems in the bud with a frank expression of expectations. At the same time, the client team needs to keep its end of the bargain, providing answers and approvals in a timely fashion. The agency team will appreciate a client who asks where they can improve or how they can support a successful outcome. The best PR results may come when the agency goes “off-script” and dreams up a program idea that may be audacious or unusual. A client doesn’t have to accept every idea or recommendation from an agency, but a fair hearing is important to encourage a free flow of creative thinking. And if the concept isn’t workable, explain why in a constructive way. It will improve the next recommendation.